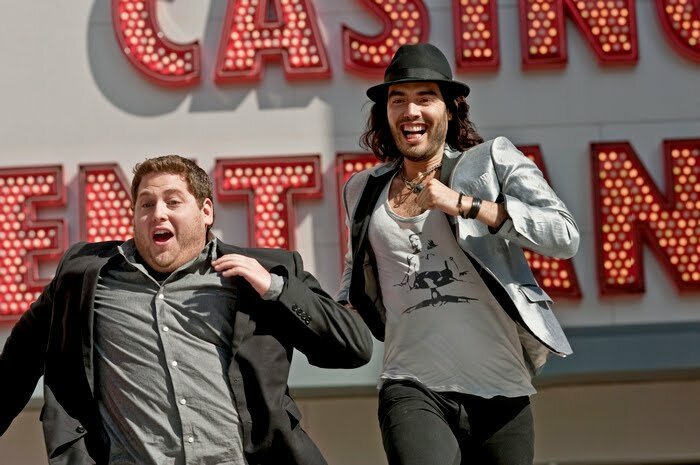 In director, Nicolas Stoller’s first film, FORGETTING SARAH MARSHALL, North American audiences were formally introduced to Russell Brand, a British comedic sensation. Brand played rocker, Aldous Snow, the man responsible for stealing the title character from leading man, Jason Segel. 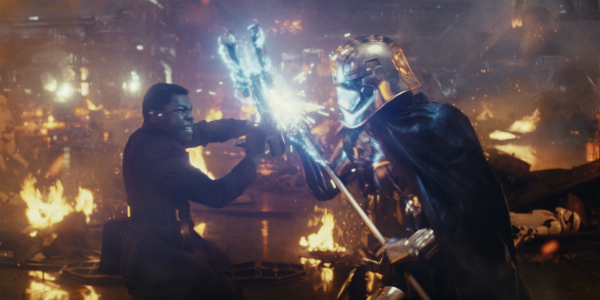 You are supposed to hate this guy considering what he did to our quite lovable protagonist but there is just something about him that keeps you from ever getting there. Maybe it’s the seemingly uncontrollable vulgarity that flows from his mouth every time he opens it or maybe it’s just the way he struts around in his sister’s skinny jeans as if he were some sort of hyper-sexualized chicken. Whatever it is, it works. 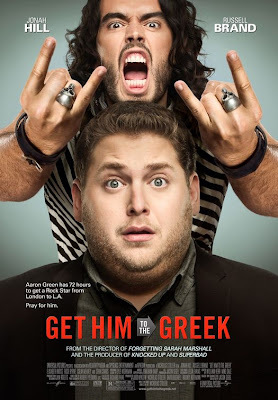 It works so well that Stoller decided to focus his second directorial effort, GET HIM TO THE GREEK, with Brand’s Aldous as the central character. Aldous is now completely washed up and off the wagon once again. There is still hope though. Young music biz keener, Aaron Green, has decided to restage a famous concert Aldous once put on at the Greek Theatre in Los Angeles in order to miraculously awaken a dying music industry and save Aldous’s career. Both are a pretty tall order but anything is possible in the crazy world of rock ‘n’ roll and Stoller is banking on you knowing that in order to buy his movie. Aaron must get Aldous to the Greek on time but somehow, things go awry. As comedic as Brand and Hill are together (complimented perfectly by refreshing turns from Mad Men's Elizabeth Moss and Diddy himself, Sean Combs), GET HIM TO THE GREEK is far too stepped in convention to be truly raucous. 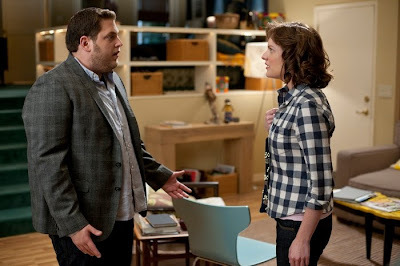 The jokes are crass and definitely funny but Stoller tries too hard to come up with the most outlandish rock star obstacles possible to deter them from their destination. When they’re crazy, it’s crazy. When they have lulls though, so do we. With this kind of set up, you should never want the twosome to get where they’re going. In this case, I wanted them to get there a good day earlier than they were supposed to. i dunno....this just looks sooo bad to me. but it may not be for me. its predecessor Forgetting Sarah Marshall would make me stay away from this movie also. 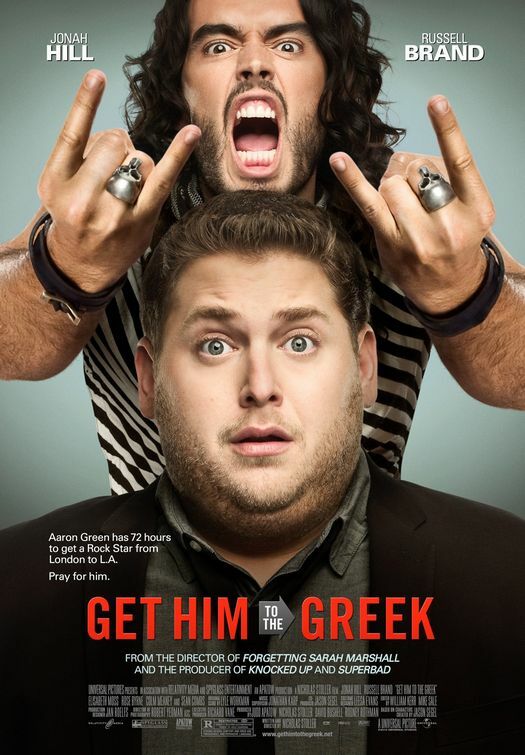 Get Him to the Greek is much funnier. I laugh a lot. I would watch this movie for sure.